Gandules Inc. is a private corporation with many years of experience and deep commitment in the agribusiness sector in Peru. Today, Gandules, Inc. enjoys the recognition as one of the most important Peruvian agribusiness companies, wholly integrating its production processes and exporting to clients in more than 40 countries. 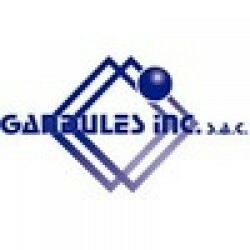 Gandules Inc. stands as the leader company in the farming area of Chiclayo, being widely recognized for its quality, reliability and transparency in managing the business. Employing nearly 4,000 workers in all stages of the production chain, Gandules, Inc. produces an extensive range of products caned and fresh. Our modern factory in Jayanca, Chiclayo, is located next to our own water drop irrigations fields in order to ensure that the freshly harvested produce is processed in optimal conditions. The agribusiness boom in Peru is new, yet Gandules Inc. has an established tradition of providing the mix of best quality products and best value prices. This will continue to be our company’s most recognizable trademark.